If you are using the purchasing modules of Service Desk Express then the inventory catalogue data is frequently the responsibility of the procurement function. One of the areas that many procurement functions struggle with is determining if an asset is tracked by it’s asset and/or serial number. Frequently, whilst there knowledge of procurement might be second to none, their understanding of the what does and does not constitute an asset or valuable/attractive item in business terms is not so clear. So how can we help? Normally, the procurement function are also given the task of managing the inventory categories and this is the first thing I would suggest you change. Give ownership of this module to the asset management gurus, who do understand what is deemed an asset or valuable/attractive item. Add these fields to the Inventory Category form and get the asset management gurus who now own this module to “suggest” whether inventory catalogue items in a given category should generally be Track Asset and/or Track Serial. Now, when procurement are creating an inventory catalogue item and select the appropriate inventory category, the Track Asset/Tag # and Track Serial # boxes will be automatically prefilled based on the suggestion for the category selected. If procurement then wants to overrule the suggestion they can but, they then take responsibility for it. In some organisations, orphaned configurations are an issue as it is through the assignment of the configuration to the end-user that assets are managed. This post seeks to a) demonstrate the use of MATH statements as a way of checking for the existance of child records for a given parent record, and b) using this technique, warn a support staff member that the current configuration is orphaned, such that it can be reassigned. "The current configuration is NOT assigned to a client. Please right-click on the Configuration Clients tab at the bottom of this screen, select Assign Client To Configuration, and then select the appropriate client from the list." Make sure that you DON’T check the box titled “Exit Rule if ‘Ok’ clicked” as, if ticked, it would prevent you saving the configuration at all! This makes creating them a little bit of an issue! 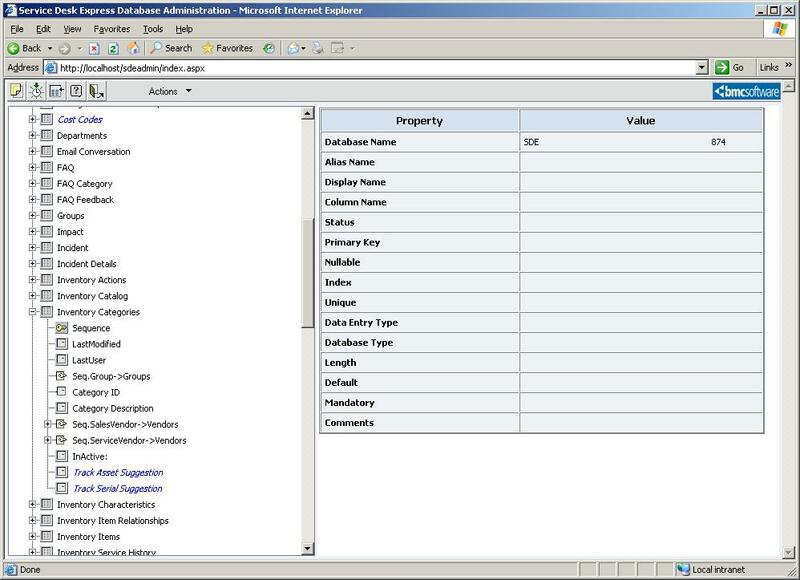 Assign the CSBR to the Configuration form and save it. If we now open the Configuration form find a record and click save the popup message will appear, irrespective of whether the configuration is orphaned or not. So how do we check for an orphaned configuration? The _CONFIGDET_ table holds the records for the linking of clients to configurations and these are deleted when clients are unassigned from configurations. Hence, by simply checking if the number of records in that table for the selected Configuration = 0 then we can establish if the configuration is orphaned or not. Save the CSBR and the task is complete.